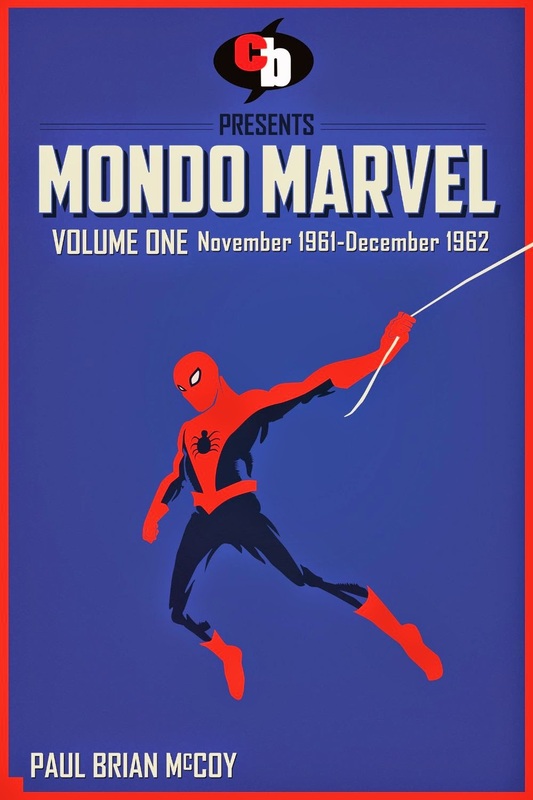 Mondo Marvel Volume One November 1961-December 1962 by Paul Brian McCoy collects the author's thoughts on his experiment of reading all of Marvel's superhero titles in chronological order. This volume takes readers from November 1961 and Fantastic Four #1 to Journey into Mystery #87 with McCoy providing very brief summaries and commentary on the early Marvel stories primarily written by Stan Lee with art by Jack Kirby. Among the stories discussed are the early adventures of the Fantastic Four, Spider-Man, Thor, Hulk and Ant-Man. The bulk of the book is McCoy's observations about the issues. They are blunt and realistic. There are some light profanities in his commentary. The commentaries remind me of the type of discussions often heard on podcasts and on blogs (which is where this project started). The summaries of each story are very light with me at times questioning what the plot of the discussed issue was about, and that is with me having read some of these tales. I will say that having sat down and read this that McCoy has helped uncover the trend Lee's writing relying on aliens and Communists. And that in the first year of Marvel superheroes that the Marvel universe was very underdeveloped. The book itself is a breezy easy read which a reader can jump in and out of. I read it on several different devices during down times in my day. If I had sat down to read it at once it would have likely taken me an hour to read. This Kindle book sells for 99 cents. And that is fairly priced for what it is, a light commentary on the first year of Marvel superheroes. I myself read it for free in the Kindle Unlimited program, which is my preferred price point. Mondo Marvel Volume One November 1961-December 1962 provides a window to one comic fan's thoughts on Marvel's earliest heroes. The text is fun as McCoy gives his unfiltered opinions of some of the craziness in Lee and Kirby's early stories and all the aliens and Communists, and sometimes alien Communists, that the legends could dream of.